Lettuce on the left after it was thinned on Feb. 14; on the right is the lettuce after a week of some really cold days and nights. After numerous days last week where it barely reached freezing during the daytime, let alone the nights, my lettuce is still alive. How, I don’t know, given the ice that coated the tarp that stayed over the containers for 48 hours straight. It seems to be a pretty clear-cut case of survival of the fittest. While many of the smaller, weaker leaves keep going downhill, it really does seem like some of the leaves that were bigger, and thereby stronger, do seem to be growing a bit. I really do find it amazing that can happen given all the cold and ice we’ve had. And it doesn’t look like it’s totally out of the woods yet. Daytime highs will be well above freezing during the next week (yay! ), but at least two nights are forecast to be below freezing, in the upper 20s. I’m getting more confident that if the lettuce has made it this far, the rest of this week should be a piece of cake. And with March finally here, it’s got to be close to the last freeze date for central Texas, right? 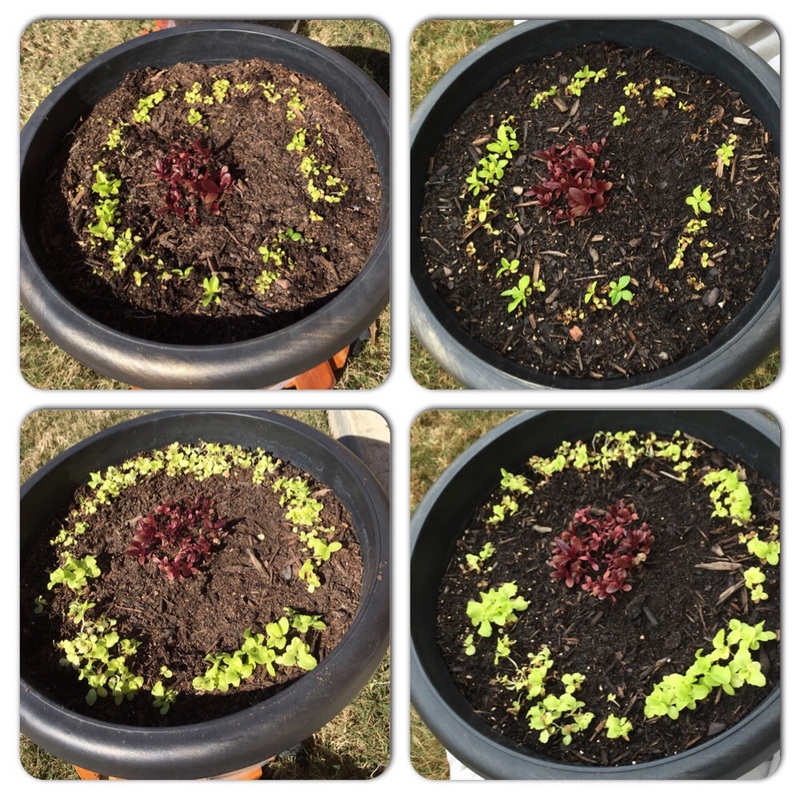 This entry was posted in Gardening and tagged cold, freeze, lettuce on March 2, 2015 by Julie Riebe. was a no dig way to prepare a great garden. Thisis one way to make raised beds?